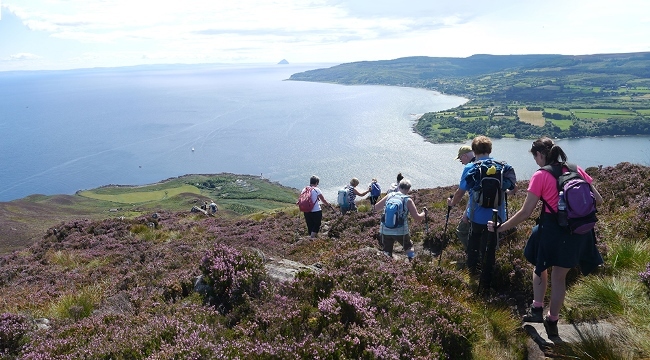 Inverclyde Ramblers put on a wide range of walks, with an emphasis on sociability and opportunities to stop at cafés as well as getting good exercise, regardless of the weather – a great way to get outside, make new friends and discover how walking boosts your health and happiness. We also promote outdoor access, to help local people enjoy walking and protect the places we all love, as well as finding new places to explore. We organise at least one walk almost every weekend, ranging from easy strolls in the countryside or urban walks with a focus on history, to hills and occasional Munros. On some weekends there are two walks, one easy and one more strenuous. See our full programme here: http://inverclyderamblers.org.uk/programme/. Our programme includes regular less formal Wednesday afternoon local walks which vary to suit those attending, giving options of short introductory walks and welcoming anyone interested in joining. Join the Ramblers and become a member of Inverclyde Group.